When it comes to exploring your options for attending university in America, you have perhaps assumed that you will need to finish college or secondary school first, as well as pass the Test of English as a Foreign Language (or TOEFL). This is the most common path that students take to higher education, but it is not the only one. 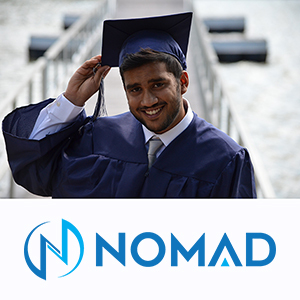 For those individuals who have decided that they wish to attend university in America, high school completion programs can be a great way to get a head start on your bachelor’s degree. What are the benefits of this type of program? More often than not, students in high school completion programs fulfill high school diploma requirements while on track for an associate’s degree, which is a two-year program. Once the student earns his or her associate’s degree, he or she can apply for transfer admission at the four-year undergraduate program of his or her choosing. This is a common path toward a bachelor’s degree, particularly if there are aspects of your academic profile that can benefit from improvement. For example, if you wish to strengthen your English language skills in order to better succeed in university-level courses (and the admissions process), the increased support of a high school completion program may serve you well. What are the admissions requirements for a high school completion program? As with most admissions cycles, there are expectations that are specific to each program, so it is important to speak with schools that interest you before applying. With that said, there are near-universal requirements that you should also be aware of. Most programs stipulate that you must be at least 16-years-old when classes begin. In addition, you must have completed grade 9 or 10 (or the equivalent in your home country), and you should be in good academic standing. Many schools will expect applicants to possess a strong academic record, and to demonstrate the motivation that is needed to finish high school and an associate’s degree at the same time. To apply, you will be asked to fill out an application, submit your transcripts, and pay a fee. Note: if you have already received a high school diploma, you are not eligible for a high school completion program. What else should international students know? 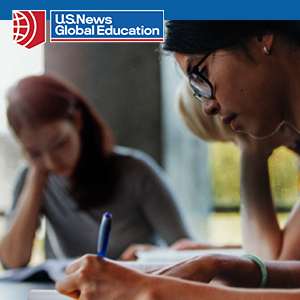 As an international student, a high school completion program can be a great way to accelerate your path toward a bachelor’s degree from an American university. Yet, also as an international student, there are items that you will need to carefully consider before moving forward with this option. Perhaps the most common concern is English language proficiency. Fortunately, unlike applying directly to university, there is not always a requirement that you pass the TOEFL (though most schools utilize a proficiency exam for placement purposes). If your English requires improvement, there are resources available to augment your current skills. In the event that you need assistance with living arrangements, there are often campus offices that can guide you to a solution. Students under age 18, for instance, may be invited to participate in a home stay. As is the case with a “traditional” four-year university education, visa requirements also apply.